Metal sign perfect to hang in the spring. Sign helps add an inviting atmosphere as it displays "Welcome". 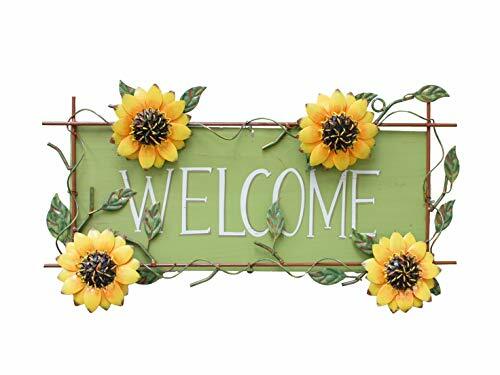 To enhance the spring feel, sunflowers border the top of the sign. Using handcrafted and hand painted metal, each one is an original, Make your house unique in the world.